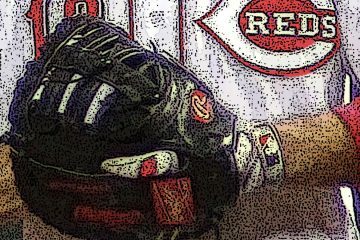 Eugenio Suarez’s fractured thumb raises anew the issue of when the Reds should call up their top prospect, Nick Senzel. Borrowing from anÃ‚Â old post, here’s a quick refresher of the labor framework and math of service time considerations and how they relate to Senzel. As determined by the Collective Bargaining Agreement signed by owners and the players union in 2016, the team owns the right to a player until that player accrues six full years of MLB service time, assuming the club offers a contract each year. After that, the player earns the right to free agency. Service timeÃ‚Â is the number of years and days a player spends on the 25-man roster of a major league team or major league disabled list during the regular season. Example: If a player gets called up for a game on July 1 and sent back down to the minors after the game on July 8, the player has earned eight days of MLB service time. The unit counted is calendar days, not games played. The player doesnÃ¢â‚¬â„¢t have to get on the field and off-days count as service time as well. The clock stops when the player is sent back down. Including off-days, there are 186 days in the 2018 MLB season. According to the CBA, players can earn a maximum of 172 days per year. After 172 days in a given season, thatÃ¢â‚¬â„¢s it until next year. One year of service time is 172 service days. Example: A player on the roster for 175 days in a single season earns one year of service time. A player on the roster for 179 days also earns one year of service time. A player on the roster for 171 days has not accrued a year of service time. Note the agreement says sixÃ‚Â fullÃ‚Â years of service time must accrue before a player becomes a free agent. ThereÃ¢â‚¬â„¢s no rounding up. If a player ends a season at 5.170 (five years, 170 days), he is still under team control the entire next season. In a sense, itÃ¢â‚¬â„¢s misleading to say a team has six years of control over a player. If the club takes the simple and modest step of delaying the big league debut of a player for two weeks into a season, it is impossible for that player to accrue a full year. ItÃ¢â‚¬â„¢s more accurate to think of team control as seven years, unless you’re the Reds and Mike Leake. Calculating the date when a club can call up a minor league player and avoiding a full year of service time is pretty straightforward. The 2018 season ends on September 30. Counting backwards 171 days (again, we’re counting days, not games) means a player could start on Friday, April 13 and it would be impossible to accrue 172 days of service time. Senzel Situation: The Reds can call Nick Senzel up to start this Friday in St. Louis and not risk losing a year of his service time. Assuming no contract extension was signed, Senzel would be eligible to become a free agent in 2025. A player has no power to determine his salary in his first three major league seasons. With few exceptions, he receives the league-wide minimum set by the CBA. That number is $545,000 in 2018. Teams generally offer modest raises for second- and third-year players. After three years, the player earns the right to negotiate his salary with the team. If they don’t agree, the player has the right to arbitration. Arbitration is neutral decision-making based on comparisons to how players with similar playing time and stats have been paid. Most good players have three years pre-arbitration and three years of arbitration. They typically see a large increase once they earn the right to arbitration. For example, Billy Hamilton earned $570,000 in 2016, his final year of pre-arbitration, and $2,625,000 in 2017, his first year with arbitration rights. As stipulated in the CBA, a certain percentage of players enjoy a major exception to the three-full-year requirement for arbitration. It’s called Super Two status. And it can influence when a player is called up to the major leagues. Each year, players with more than two and fewer than three years of service time are placed in a group and ordered based on who has the most service time. Players in the top 22% of that group are eligible for arbitration. They are called Super Two because they donÃ¢â‚¬â„¢t have to wait three full years of service time to access the financial benefits of arbitration. The Super Two rule incentivizes organizations to hold players in the minor leagues for about two months. Unlike the cutoff for years of team control, the Super Two deadline isn’t fixed or known ahead of time. It’s based on looking back. Teams don’t know when the cutoff will be in any given year. The date moves around. In 2017, the cutoff was 123 days of service time. In 2016, it was 131 days. In 2011, it was 146 days, almost a month earlier than 2017. A cutoff of 122 days of service time for the 2018 season would be June 1, 135 days would be May 19, and 145 days would be May 9. The Super Two delay is about money, not duration of team control. Super Two players still fall under the same service time rules (six full years before free agency). But they are eligible for arbitration four times instead of three. That means more money in year three, a bonus that compounds the next three seasons based on percentage increases on a larger base. Over a career, that might mean a difference of $10 million to a club and player. For example, the Reds called up Jay Bruce on May 27, 2008, which was not quite enough of a delay in his service time to avoid Super Two status. The Reds right fielder later became eligible for arbitration in 2011 as a Super Two with service time of 2.125 and earned $2.8 million instead of $450,000. 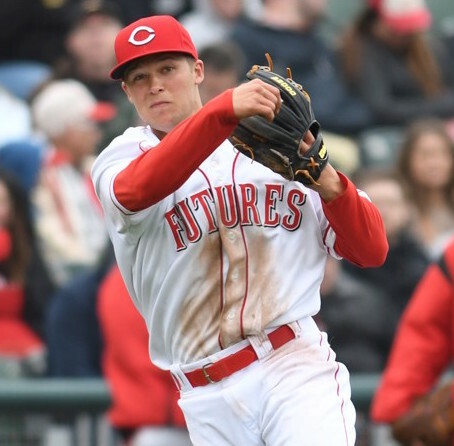 Senzel Situation: If the Reds want to avoid Nick Senzel earning Super Two status, they’ll delay his call-up to sometime in June. None of this speaks to when the Reds should call Nick Senzel up to the major league club. It just explains part of the framework in which that decision is being made. In theory, you could call Senzel up now and send him back down when Suarez is ready to return. Burning an option year isn’t much of a consideration for a player of his caliber. But if Senzel plays really well, it could lead to pressure on the club not to send him back down. Senzel has only played a few games in AAA call. I am not sure he is ready. I think the Reds did right in calling up Blandino, in fact, he should have started the season in the dugout, Based upon how Price has used call-ups in the past he will likely sit the bench in favor of Pennington or Gosselin. Give Nick some time in AAA to ensure he is ready. Hopefully Geno is only out a short time. I am still thinking we need a SS who cat hit his way of of a wet paper bag. Senzel should be called up now and made every day 3B. When Suarez is ready to come back, move him back to his original position, SS. Peraza and Hamilton are role players at best, and should used accordingly . 100% correct,changes need to be made.Whats it going to hurt.This team needs to be jump started.The only one to work the count is Votto,and Barnhart.Everyone else up there flailing away.Come on Reds letÃ¢â‚¬â„¢s go and put some fear into opposition. Eh, Winker has shown great plate discipline. Votto has been swinging earlier in the count as he did to start last year. And he has struck out at a rate far higher than normal for him. Thus far he has NOT produced efficiently with runners in scoring position. All of the above will change as the season progresses. The key question is will he regress to his far better norm in time before the season is already over? Cowboy said that coaches and scouts at AA Pensacola last year said he was big league ready then. Cowboy also commented on Senzel’s surprising athleticism. He may surprise us. It wouldn’t surprise me if he wasn’t called up until June to avoid Super 2 status as well. Then again, the Braves said, “Heck with it,” a couple of years ago and brought Dansby Swanson up to the Big Club, thinking that when you’re ready, you’re ready. Based solely on plate discipline, Senzel could play and be productive at the major league level right now. He doesn’t need “seasoning” at AAA. Steve, thank you for the timely update. Another example of how great this website is. When does Fundraising/membership drive begin? To be a better ballclub next year, 1) Senzel needs to stay down right now and get AAA work at one or both positions he’ll likely be called on to play in the next few years: 2B and SS. 2) Blandino needs to get the bulk of the work in place of Suarez, so we can see if he’s a useful bench player going forward or a potential trading chip. Playing Gosselin or Pennington (Gosselton? Pennelin?) would be extremely wasteful of a precious evaluation and development opportunity. With the way this team operates, I’m expecting to see a lot of Gosselton. Although Duvall sat on opening day and Winker batted leadoff, so aye they’ll surprise us. I’m going to blame you if Gosselton becomes a thing. You and Bryan Price. Pennington and Gosselin being this yearÃ¢â‚¬â„¢s Jack; Gallardo being the current incarnation of Home Run Hoover or Kevin Gregg. I think I will be clamoring for Senzel less if Blandino is the guy playing 3B every day (or almost every day). An injury like this gives the Reds the chance to get an extended look at Blandino, something they probably wouldn’t have without it. He’s currently blocked at every infield position, and starting May 1, Senzel would have likely been the first AAA infielder called up. What happens in an ideal world is that whenever Senzel ultimately gets the promotion, we get an every day infield of Votto, Suarez, Senzel, Blandino. Senzel needs another 2 months and 200 at bats in AAA to finish his maturation. He should not be called up until he is ready to play every day as a major leaguer indefinitely. The June 5 homestand and early summer gives the Reds 19 home games in 27 days. That would be a good time to bring him up, assuming he can meet the demands of playing at AAA. It also would be a good time that Suarez could be back healthy. Then….. 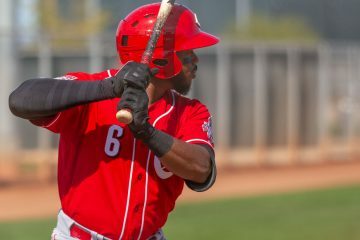 The Reds could have Winker/Senzel/ votto/ Suarez hitting 1-4. That also gives the young pitchers and injured pitchers time to get things together and sort things through. The Reds aren’t winning in 2018 and the first half of this season in particular is still firmly Rebuild mode. Let’s see how things look around June 5. I think much better. Where are you getting these numbers from? Is there any hard evidence to suggest he can’t hit major league pitching right now, but could do it after 200 more minor league ABs? Is there any evidence to suggest he won’t be an even better player in 2019 after a full year of seeing major league pitching? This sounds right to me. Waiting until June will (a) let Suarez get back, (b) give Peraza two full months at SS, and (c) see how Scooter Gennett does at 2B. In the meantime, Alex Blandino is a good option at 3B to see how he handles the major league game – IF Bryan Price will play him. Lot of good sense here about how they might handle Senzel. If they are inclined to wait out the Super2 date, I’m sure they will probably have someone crunching numbers and try their best to err on the side of keeping him down “too long”. However if the team is really in the tank at mid May, I could see them deciding to go on and bring Senzel up for PR purposes. My memory/ eye test is when Senzel played with the Reds during spring training he got a lot of starts and early game action which means in general he was playing versus MLB pitchers. So, at least offensively, I’m not sure he has a lot left to prove; and, he also probably doesn’t need a lot more seasoning at 3B. Your point is solid – 2018 is not going to be a contending year! However, and I’m sure you agree, the rebuild can show us many things and the Reds must take advantage of them… maturing young pitchers that learn how to pitch, young hitters that learn to take walks & run bases, staying competitive with some excellent clubs in the NL Central, starting to gel as a team is poised to make a run, learning how to study pitchers & situations (Votto-style), the learning list is endless. RLN is tremendous – the writers/readers are focused on the development of the young guys and putting the team in a position to compete! We generally understand that it takes time, but we demand (as best we can on a website) that the manager/FO stay consistent and make good decisions that promote the learning and development. We can only hope that those that own “the process” are astute/shrewd baseball men and not just tentative decision makers that are “too patient” with the process. Very good explainer here. However, it leaves off one important point: This kind of service time manipulation is illegal and an exploitation of the players. Yes, all teams do it, and fans and media openly talk about holding off on bringing a player up because of service time concerns (Kris Bryant as one notable recent example). However, you notice that GM’s and managers never come out and say that they’re doing it, because this is a violation of the CBA. Is it a smart thing for front offices to do? Probably. But it victimizes Nick Senzel, a player we are all anxious to watch and cheer for. Fans have accepted this exploitation of baseball labor, and players evidently have too. But who are we cheering for? Players, or front offices? In the case of Nick Senzel, there’s a legit case for having him play a little at AAA and see if he can hit there as well as field 2B. I wouldn’t use the word “victimize” in his case, at least not yet. We’re cheering for players, of course, but that doesn’t mean what’s best for the player is always to call them up without considering their development needs. Okay. I understand Steve. He needs to play a little at AAA. $ more days sounds about right to me. The “Price Watch” has officially begun. I don’t expect to see Blandino play as much as I hope. Speaking of “small sample sizes”… let me be the first on this website to come to the conclusion that Hamilton and Peraza can’t hit a lick. Hoping the brains behind the operation decide that either Suarez or Senzel will be the shortstop of the future while we wait to see if Rodriguez continues to improve at the plate. I agree that the Senzel case is far less blatant manipulation than Bryant or Acuna. A legit developmental case can be made that Senzel needs further time in AAA, although that case would be certainly blunted if the Reds were to call him up on the very day (or close to it) that would delay his free agency by a year. We’ll find out soon enough if that’s the course the Reds take. I am more responding to the extent to which fans have accepted this sort of behavior from front offices. We all nod along and agree that this is a smart baseball move, when it’s keeping a top prospect making peanuts now and could cost him millions down the road. Agree on the developmental opportunities. We’ve all seen hitters come up, succeed for a minute, and then have the league get the “book” out, and then go through the adjustment period.I assume that over time, the same thing happens in AAA and it would be good for him to have the place to work out any kinks as they show up. Now, Senzel may be a good enough hitter that he won’t need that, but that’s pretty rare.For all intents and purposes, he’d be making the jump from A+ to MLB. Best case is that he tears up AAA that he brings that confidence with him whenever it is time to be here. Worst case, he gets called up early, struggles, and has to work out the kinks against the best pitching baseball has to offer. Excuse me, a dash of AA in there too. Didn’t mean to slight him! Senzel is a multi-millionaire from his signing bonus. He’s not experience the same plight as a majority of the other minor leaguers. I am sure it is something that will be discussed in the next CBA, but changing it may be difficult since it is only affecting a handful of people. I think the players bigger concern will be fixing free agency issues like compensation picks for free agents who turn down qualifying offers and how to avoid teams “playing for draft picks” Guys like Senzel and Acuna potentially delay their free agency and potential earnings through service time manipulation, but it isn’t something happening to every single player. It is unfortunate for those few guys who are impacted, but it would be difficult to prove anything illegal was being done; for Senzel it could easily be stated he was blocked by Suarez and needs time to learn a new position. didn’t duvall used to play 3rd? this is fantasy baseball – right? It’s probably a fantasy to think he can play 3B. He couldn’t when he was in the minors: 417 games 99 errors, .917 fielding %. Cody Reed starts tonight for the Reds. Finnegan starts tonight for the Bats. Hunter Greene starts tonight for the Dragons. Big night for Reds pitching prospects. Great article Steve and thanks for explaining this crazy process. I agree that Blandino should get the call and most of the playing time. The Reds needs to see what he can really do. Though, I doubt this will happen and the playing time will go to the infield bench players. BTW, how many options does a player have? Three. An option is good for an entire season. A guy put on option can be called up and sent down any number of times during that season; and, it only counts as one option. There are some special cases where a 4th option year can be earned. I believe Garrett was awarded a 4th year; and that Lorenzen also met one of the loophole criteria for an additional one. I think this is probably all moot, because the Reds almost always seem to leave guys in the minors until there’s absolutely no possible way for them to justify leaving them there for another minute. I’d be surprised if he’s called up for months unless there’s another couple infield injuries. Thanks for the clear explanation, Steve. Not that Homer Bailey isn’t a handsome fella, but can’t help wonder why Steve Mancuso doesn’t display a photo of Steve Mancuso in his short bio after several recent articles. Come on Steve, the chin on your hand pose is just fine. Is Bryan Price behind it? If they are bound to play Billy. Could Duvall slide to 3b and all 3 other OFers can play regular. I say this knowing Blandino is going to ride pine for Pennington/ Gosselin. I would rather see Duvall give it a try over those two. How did they get away with only 8 guys in the lineup? Are they going to bat out of turn every other inning? Winker appears to be a scratch himself tonight. Ervin between Barnhart and Pennington. Is anybody surprised that Blandino isn’t playing? I’m fine with it as he probably only joined the team in Philly earlier today. In general, I believe service-time manipulation to be a bad idea, especially with pitchers. It is fundamentally dishonest, which to me is bad business with one’s employees. The better question is whether Jose Peraza could hit Yovani Gallardo. Something would have to give: a movable object against a resistible force. Steve, phenomenal write-up! Definitely the most direct, clear-cut description of both service time accrual and Super 2 status I’ve seen anywhere. It’s looking like the Reds will bring up Senzel to play third base for 6-10 weeks. Unexpected development with the Suarez injury. But……. Why not bring Suarez back as a shortstop? 2018 is nearly lost already. The season should be about preparing for 2019. His injury rehab will force him to go painfully slow from week to week building on his progress as he heals. Do it as a shortstop. Work with benavides every day whens cleared. Go to AAA for 7-10 days as a SS. Move Peraza back to 2b as a platoon with Gennett in june until Gennett’s gets traded….and see how 2018 unfolds? If Senzel can’t cut it at 3b or Suarez can’t at SS…..you’ve at least answered the question. Situations and circumstances change. No one saw this coming…. But be bold. Adjust. Bring Suarez back at SS. Senzel strikeout to walk rate if you look at his stats going up the minor league ladder has well gotten just a tad worse each level. That great plate discipline some of you mention well it may not be so major league ready yet. Its only been a handful of games at Triple A but yet he is on a pace to strikeout far more than he was last year. Last year in Double A he had a worse strikeout rate than he was showing in the lower levels. Yes each level pitchers are better and they make adjustments and the hitters have to make adjustments….but all I am saying is it wouldn’t hurt to give him a few more weeks in Triple A to see if he starts to adjust to Triple A pitching. Otherwise if he isnt ready to start smacking Triple A pitching around he sure won’t be ready in the majors. Last thing you want to do is rush the kid who is going to have emense hype once he is called up and see him struggle and loose confidence. Then the Reds are wasting service time much like the White Sox did last year with Yoan Moncada and the guy isnt ready. Once he shows he has adjusted to Triple A pitching and hitting a few weeks with no problems there then yes maybe call him up. As for the Reds moving him to other positions that is just crazy. The guy is a 3B and Suarez when he is healthy again he was not a natural 3B…you move him back to SS …Peraza was over hyped in the Braves system and is really a utility infielder type…..but he can man 2B for now…..leave the kid Senzel at third….why you want to put even more pressure on the kid along with all the hype and force him to learn a new position now….that was something if they was going to do should have been done after he was drafted…not right before the majors. SS is not an easy position to suddenly just be expected to play when you never have before….its way different than maning the hot corner. But long term and I think as soon as next year Senzel will be the professional major league bat that will give the Reds the leader to pass the torch to so to speak as Votto declines as he advances in age. He is the best looking kid Cincy has had in my opinion since they brought up Votto years ago….this kid is better and will be better than Jay Bruce ever has been by far I think. I wont say he will be as great as Votto as that isnt fair to the kid but potential to be is there.